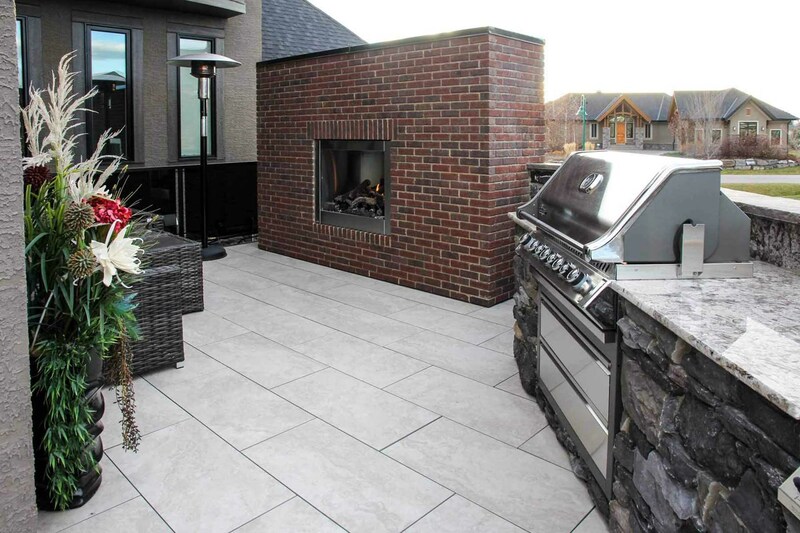 Elegant outdoor kitchen project in Heritage pointe Golf Estate in Calgary. - Curb Design Inc. Elegant outdoor kitchen project in Heritage pointe Golf Estate in Calgary. Large tiles, level 4 granite countertops and fireplace. Large Neapolitan barbeque.